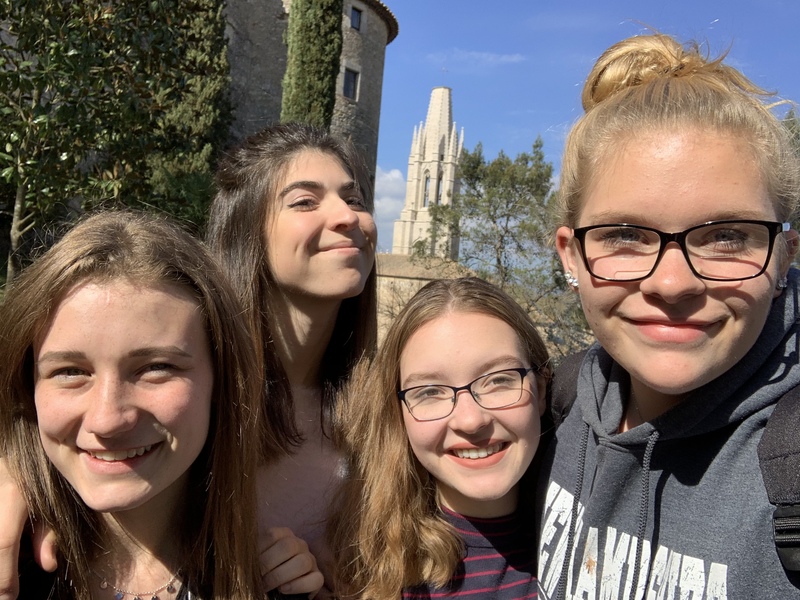 One of the 13 students traveling from York County high schools shared some experiences and impressions of her time with her French correspondent and her time in the village of Port-Vendres, Yorktown’s Sister City. She writes: “. I absolutely love the village. It is gorgeous no matter where you go and the people here are so sweet and helpful! I absolutely love my correspondent! She’s a great match for me. Her family is so nice! She speaks English very well, so I understand and we can communicate easily. The cooking class (posted earlier) was one of my favorite things so far. 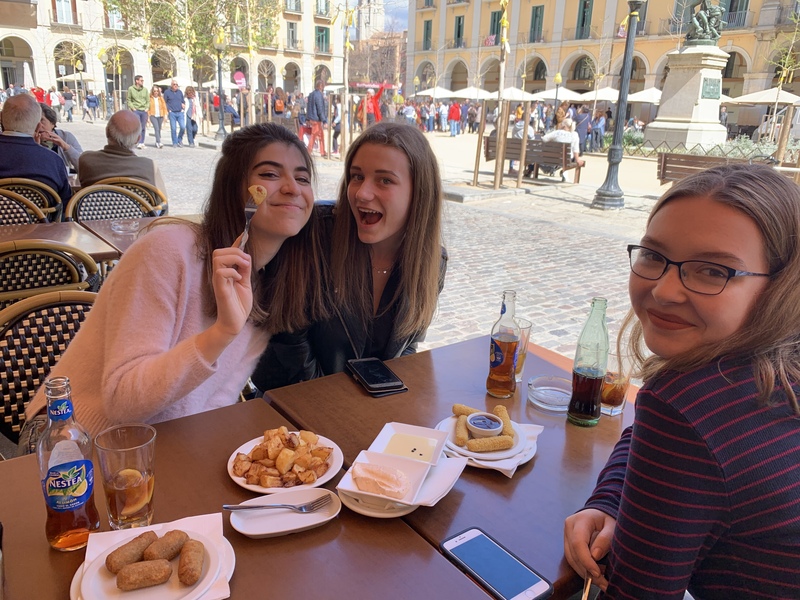 It was a great way to get to know the French students at the beginning of the trip. 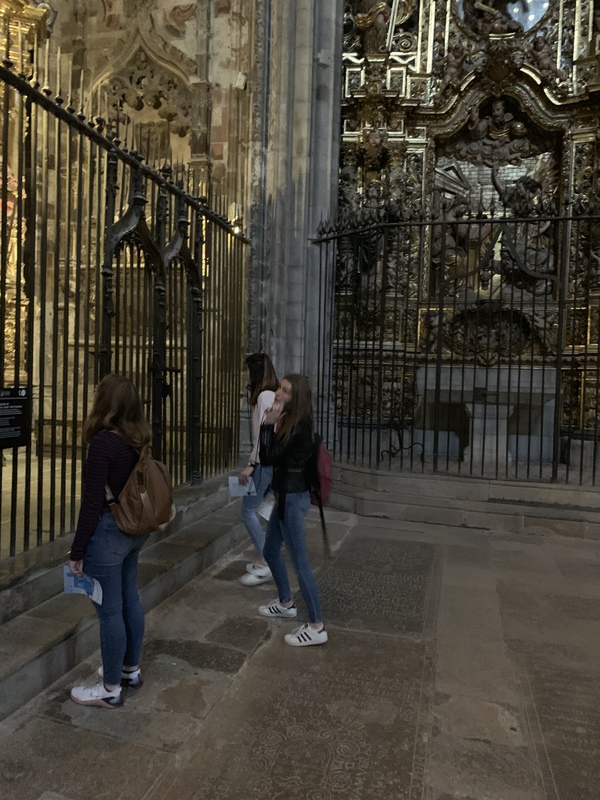 Pictured below are the new friends on a visit to the Cathedral in Girona, Spain, just over the border from Port-Vendres. I am so happy the American students are enjoying their trip to France! What great memories and friends they are making. Travel opens a whole new world to young people.